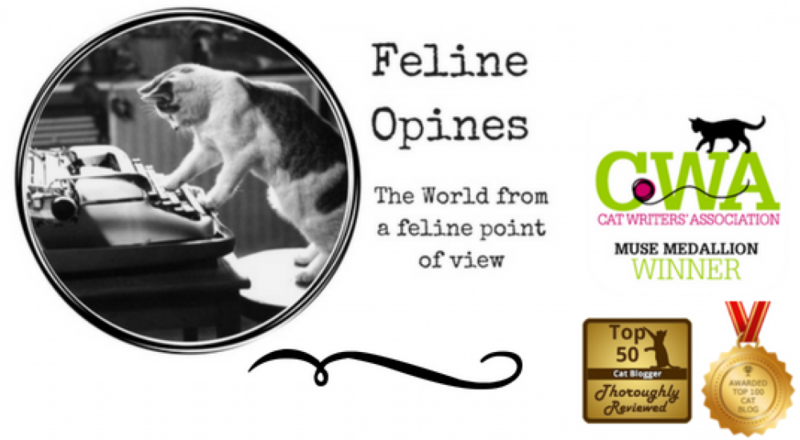 This entry was posted in Cat Health, cats, Fearless vet visits and tagged fearless vet clinics, Fearless vet visits, Pend Oreille Veterinary clinic, Tucker is fearless by Feline Opines. Bookmark the permalink. I am glad you are feeling better and that no one hissed at you when you got home, that is unusual. It was an absolute miracle! And thanks for the good wishes ! It’s much better than the old place. The doctors spray some stuff the humans call pheromones and they even have calming cat music. Wow, it sounds like your new place is awesome! Having a place for you to all go to without having to be afraid is very, very important. We hope they got you feeling all better too! Thank you, I’m finally on the mend and getting some extra portions of soft food too, my favorite! Glad everything came out all right (sorry for the joke 🙂 ) and you had a good experience. It makes going to the doctor so much easier when it’s a nice place. This fearless practice has made an amazing difference in our vet visits. All Vets should be certified in fearless practices! It’s so hard not to be nervous as the smells are funny and it’s kind of scary being poked by white coats. I was very happy to hear your experience was a good one. I attended a segment at BlogPaws about fearless practices and I am so happy to see veterinarians embracing this idea. If it can reach our corner of the world (N. Idaho), I’m optimistic that fearless veterinary practices will spring up all over the country. I can say that they are great stress relievers for the humans as well as the animals! I wish every place our furry loves visited, was fearless. I look forward to hearing more about it!